Finally, Ukraine is closer to dealing with its top-corrupt than ever before. The High Anti-Corruption Court, which is expected to be launched in 2019, is the final link in the chain of anti-corruption institutions called to bring Ukraine’s corrupt leadership to justice. The fight for its creation was not easy. President Petro Poroshenko, the author of Ukraine’s judicial reform, resisted the idea till the very last moment. The pressure of society and Ukraine’s western partners made him change his mind. But attempts to render the court powerless continued till the last moment. 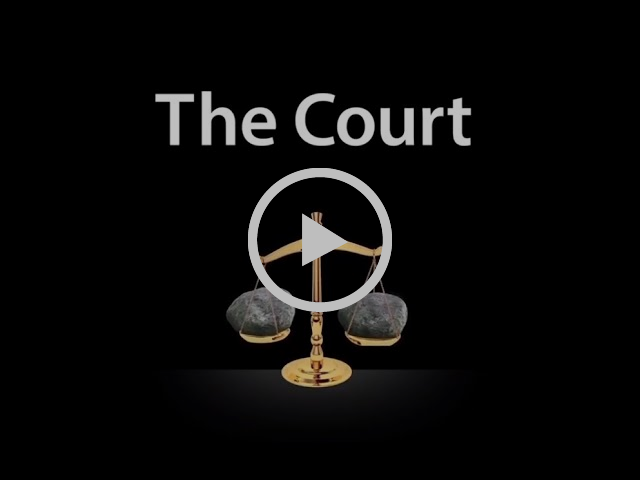 The Euromaidan Press documentary “The Court” tells the story of the creation of the court through the eyes of civil society. 5 months after legal start of Anti-Corruption Court, how close is Ukraine to prosecuting its top-corrupts? 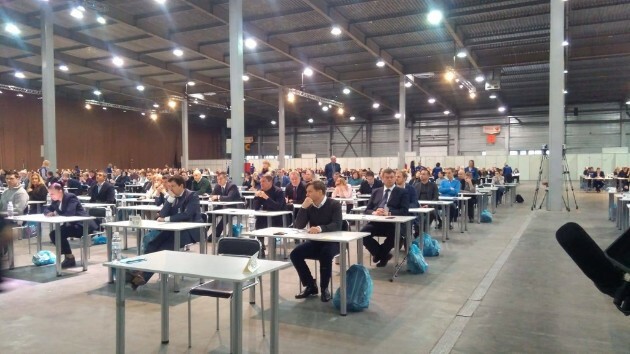 The launch of the High Anti-Corruption Court (HACC) is a huge step forward for Ukraine. The country’s civil society has been fighting for this for more than two years. First and foremost, the creation of the court offers the opportunity to finally prosecute those involved in high-level corruption. By taking this step, Ukraine has also confirmed that it is keeping to its international commitments. As a result, this will open the doors to additional international funding. Where is the Yanukovych regime five years after the Euromaidan revolution.Today Ukraine marks the fifth anniversary of the beginning of the Euromaidan Revolution. Five years ago, then President Yanukovych trumped the pro-European dreams of many Ukrainians, turning his back on the EU-Ukraine Association Agreement. This sparked the revolution, but its underlying reasons went deeper – to a general dissatisfaction with Yanukovych’s rule, often called a regime. 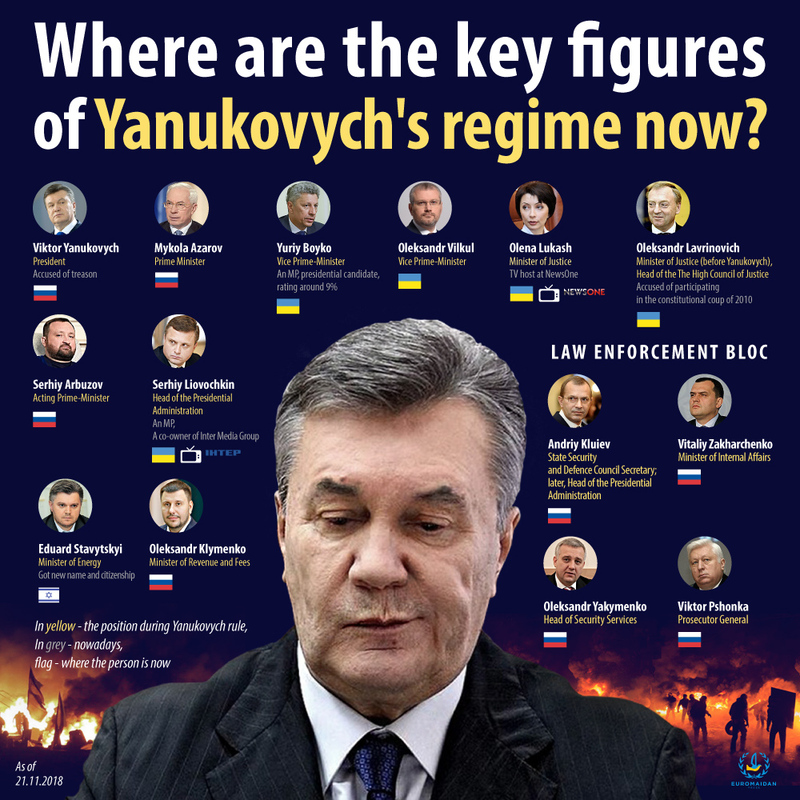 Yanukovych’s inner circle had a hand in almost every area of life, blocking opportunities for the development of fair business, youth, civil society. Roman Maselko: My promise to slain Euromaidan activists is to bring bad judges to justice. Five years, five stories. On the fifth anniversary of the Euromaidan Revolution, we have sought out activists who joined the protests back then and are still actively involved in building the country today. 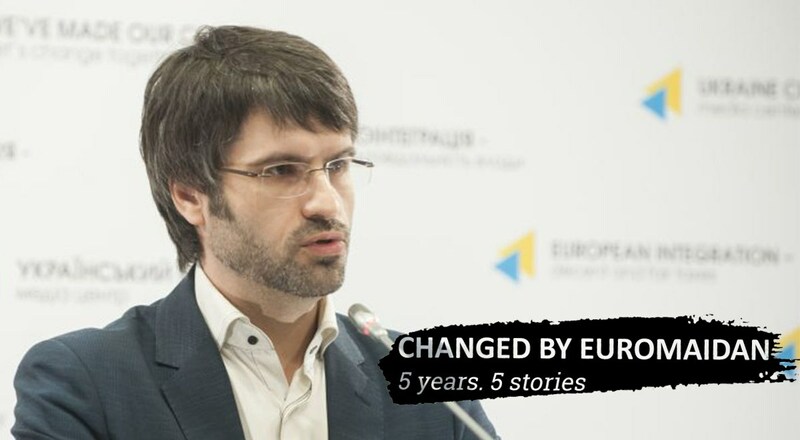 In the series “Changed by the Euromaidan: 5 stories,” we asked them why they do what they do, and what they think about Ukraine’s five post-revolutionary years. This is our first story, about lawyer Roman Maselko, who went from banker to judicial reform activist and advocate of the families whose family members were killed by the Berkut during the protests of 2013-2014. He says he won’t stop until the judges prosecuting innocent activists of those days are brought to justice. 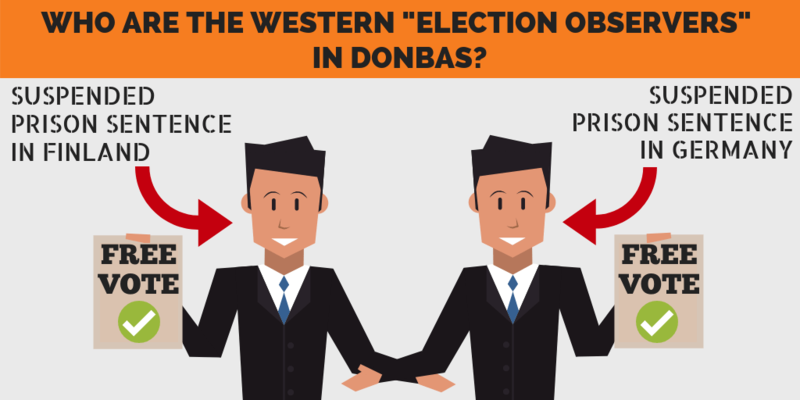 Phony “elections” in Russia’s phony “republics” in Ukraine: a legitimization of the occupation. 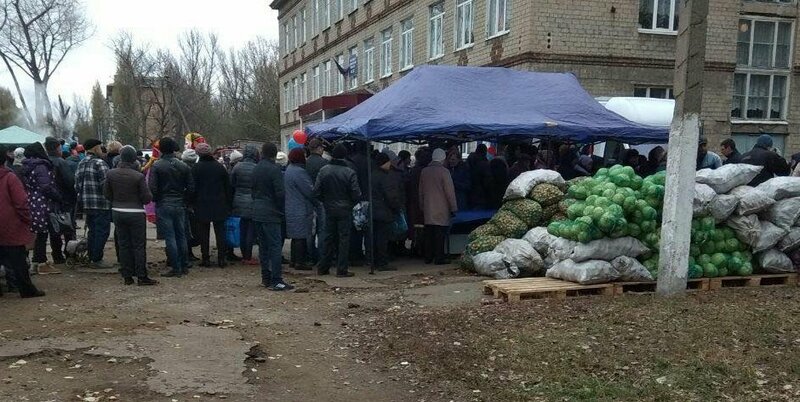 On 11 November, phony elections were held once again in the Russia-occupied parts of Ukraine’s Donetsk and Luhansk oblasts. With voters lured in by promises of cheap vegetables, they took place despite condemnation by Western countries and their cautions to refrain from conducting the voting. 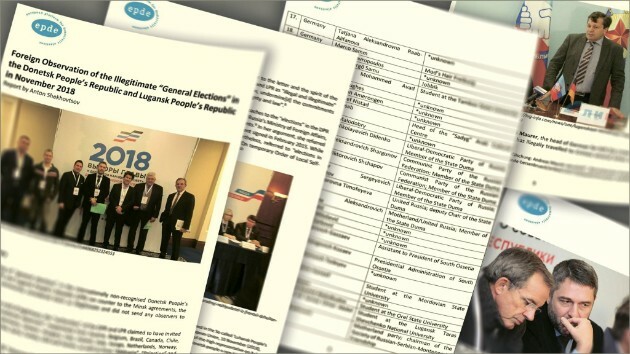 The results were known in advance, just like at the sham 2014 referendums in Crimea and the Donbas, and at the previous elections in occupied Donbas back in the fall of 2014. Why was it so important for Russia to hold the fake polling even under the threat of new Western sanctions which may follow? Human rights defenders raise alarm as Russia ready to take over Interpol. On 21 November, 192 delegates from the member countries of Interpol – the International Criminal Police Organisation (ICPO) – had met in Dubai for the last day of the 87th annual session of Interpol’s General Assembly to elect a new president of the agency. 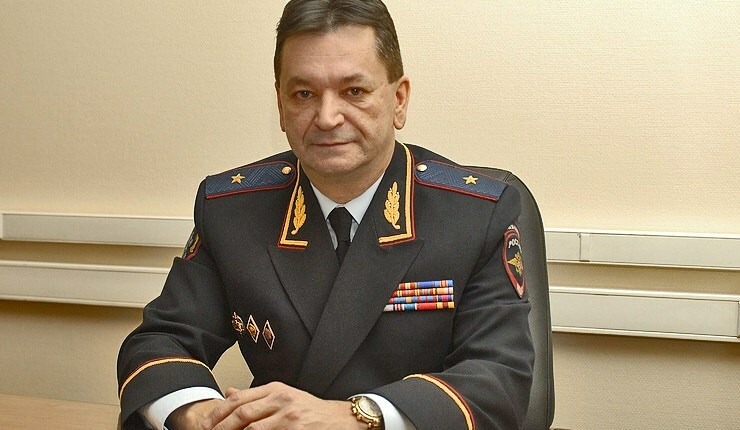 Despite it being widely expected that Russian frontrunner Alexander Prokopchuk would take the post, Interpol has elected South Korean Kim Jong-yang as its president. Here is an overview of the events that preceded this decision. 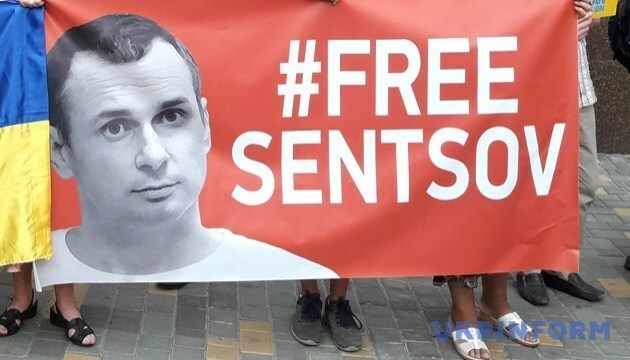 Will the Sakharov prize help free Oleg Sentsov? Will the Sakharov prize help free Oleg Sentsov? The Sakharov prize clearly indicates solidarity and undeniable support for Oleg by European politicians, as well as their readiness to continue pressure on Russia on international platforms. Such a move is totally welcomed by all EU representatives who have livened up hopes for possible release not only of Oleg but also of all Ukrainian political prisoners as well. But the Sakharov prize alone is not enough for Putin to trigger this process. Dozens of cultural actors in France appeal to free Sentsov and all Ukrainian political prisoners. Intellectuals and cultural figures from around the world call upon western leaders to demand from Russian President Vladimir Putin to release Ukrainian filmmaker Oleg Sentsov and all Ukrainian political prisoners in an editorial in the French newspaper Le Monde. Among the signatories of the letter are such famous cultural figures as philosopher Slavoj Žižek, historian Galia Ackerman, vice president of the French Senate Davis Assouline, historian Alain Besançon, philosopher Pascal Bruckner, writer Emmanuel Carrère, politician Daniel Cohn-Bendit, director Jean-Pierre Dardenne, philosopher Michelle Eltchaninoff, director by Stefan Fokinos, essayist Raphaël Glucksmann, director Aki Kaurismyaki, director Wim Wenders and many other well-known people. Acclaimed film director Godard declines Russia visit over imprisonment of Oleg Sentsov. Acclaimed director Jean-Luc Godard has declined an invitation to visit Saint Petersburg’s Hermitage Museum because of the detention of Ukrainian filmmaker Oleg Sentsov, Le Figaro reported. “Thank you for your invitation, but given the condition of Sentsov’s detention, I do not feel that I can visit the Hermitage (Museum of St. Petersburg) for the moment, regardless of my friendship for the people,” wrote Jean-Luc Godard in the letter to Dimitri Ozerkov, director of the contemporary art department of the Hermitage Museum, who invited him to St. Petersburg. Britain urged towards Magnitsky-style sanctions against torturers of Ukrainian political prisoners of the Kremlin. Magnitsky-style sanctions could be a step towards freeing the circa 70 Ukrainian political prisoners of the Kremlin, said Ukrainian human rights activists during a visit to London in early November 2018, where they passed a list of those responsible for torturing Ukrainian political prisoners to British MPs. Why Ukraine’s new UN General Assembly resolution is important for returning Crimea and political prisoners. The Third Committee of the United Nations General Assembly has recently approved a newly revised draft resolution titled “Situation of human rights in the Autonomous Republic of Crimea and the city of Sevastopol, Ukraine.” The document was backed by 67 UN member states, 26 voted against it, 82 abstained. The ones that voted against are: Armenia, Belarus, Bolivia, Burundi, Cambodia, China, Cuba, North Korea, Eritrea, India, Iran, Kazakhstan, Kyrgyzstan, Myanmar, Nicaragua, Russia, Serbia, South Africa, South Sudan, Sudan, Syria, Tajikistan, Uganda, Uzbekistan, Venezuela, and Zimbabwe. How Hungary became a weapon of Russian disinformation. Despite the fact that the Hungarian government has expressed support for Ukraine’s territorial integrity and sovereignty, and voted for the European sanctions’ regime against Russia multiple times since the illegal annexation of Crimea in 2014, the Hungarian government is actively blocking the NATO-Ukraine cooperation and Ukraine’s integration into Western structures on all levels to protest the new Ukrainian language law. While Hungarian concerns are based on legitimate human rights grounds, the overt Hungarian diplomatic reaction entailing mutual diplomatic expulsions plays right into the Kremlin’s geopolitical effort to destabilize Ukraine along ethnic lines and the East-West geographical divide. How states can get real about Russian cyber attacks: Estonia, the UK, and Poland explain. Cyber attacks are becoming a menace and threat for all governments. They’re also part of the arsenal of Russia’s hybrid war. But lots of states have been developing the resistance. Cybersecurity panelists from Estonia, the UK, and Poland shared their takeaways from a decade of hybrid war – and the solutions they came up with – during the conference “The Hybrid War Decade: Lessons Learned to Move Forward Successfully,” which was held during 7-8 November 2018 in Kyiv. This war won’t end while current Russian authorities hold power in the Kremlin – Horbulin. The conference “The Hybrid War Decade: Lessons Learned to Move Forward Successfully,” was held over 7-8 November 2018 in Kyiv. During it, Volodymyr Horybulin, Director of the Institute of National Security Problems at the National Security and Defense Council of Ukraine, former Head of the National Space Agency of Ukraine and expert on hybrid war, told about the key features of Russia’s hybrid war against Ukraine and the West. We provide a transcript of his speech in full. Gaps in geography: Russia thinks Black Sea not European, Duma vice-speaker sees Azov Sea inland Russia’s. Russian state propaganda media would benefit from updating their skills in political geography. This became apparent last week when two leading government outlets decided to manipulate geography in support of key messages in their reporting. 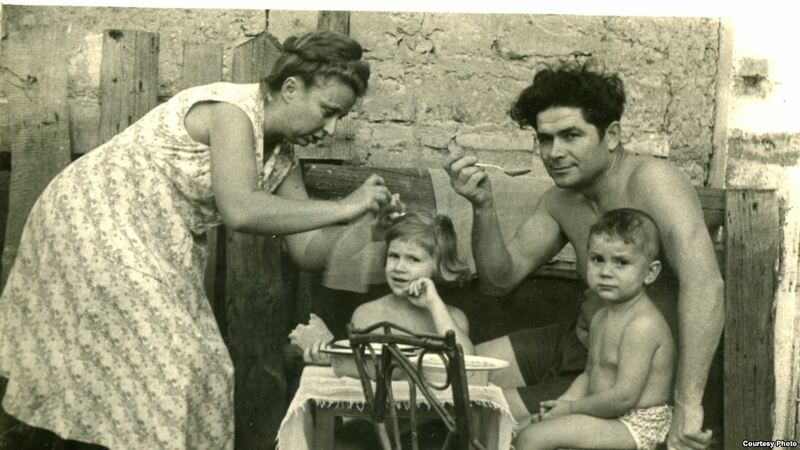 The Ukrainian who set himself on fire protesting the Soviet invasion of Czechoslovakia. November 6th marked 50 years since the violent death of young Vasyl Makukh. On November 5, 1968, Vasyl Makukh committed an act of self-immolation on Khreshchatyk Boulevard in Kyiv. Running through the street, his clothes and body ablaze, he appealed to his countrymen to fight for an independent and free Ukraine, and for an independent and free Czechoslovakia. Traditional Ukrainian costumes from 17 regions reconstructed in video project. Ukrainian folk costumes are diverse. Every ethnographic region at different times had its own peculiarities of the national garment. The project “Spadok” (“Legacy” or “Heritage”) shows the originality of the Ukrainian regional traditional dress.